We got given a 1 kilo bag of irregular jelly beans last night. 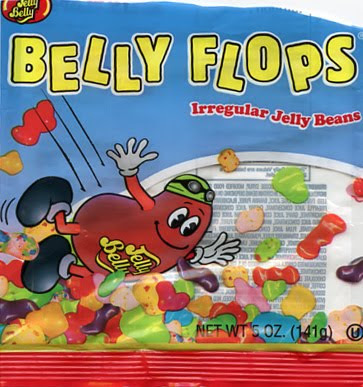 Last night T brought over a bag of Belly Flops, they are all the irregular jelly beans who alas were too imperfect to be included in the other lines and so get a bag of their own. They are the ‘raggy dolls’ of the jelly bean factory and they are damn tasty. Previous PostFinally a world cup I can get behindNext Post“Pride” and famlies and teachers.